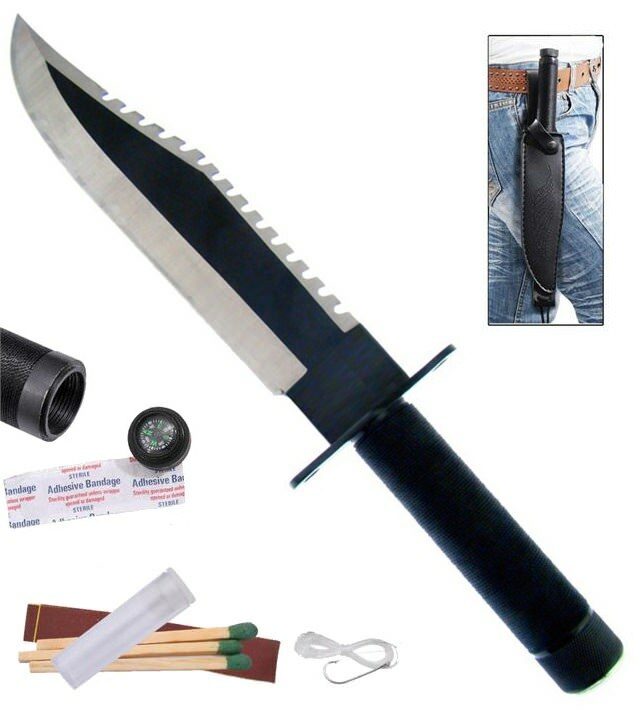 2N2-HK521-150BK - First Blood Survival Knife Black. This knife is equipped with a 420 razor sharp black blade completed with mirrored finish and a heavy duty First Blood Part II Bowie with leather sheath. Don't miss your last chance to wield one of the most popular survival knife ever introduced. This knife is equipped with a 420 razor sharp black blade completed with mirrored finish and a heavy duty First Blood Part II Bowie with nylon sheaths. The First Blood Part II is equipped with a survival kit that is packed in the handle and a compass. The handle is also equipped with nylon grip for a firm hold. 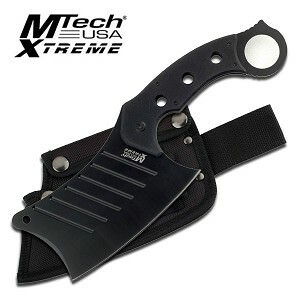 The overall length is 14 inch with a 9 inch bowie style blade. This is a great item for hunting, fishing, camping and other outdoor activities.